A long time ago ... back in 2007 we were approached by an experienced US sailing couple to design an unusual boat ... a catamaran intended for chartering built of aluminium with a ketch rig. No way! Several ‘experts’ in the field had told them it was impossible to build a cruising catamaran with halfway decent performance from this ‘heavy’ material. And then why would you top it all off with a slow, old-fashioned ketch rig! We at de Villiers Yacht Design had wide experience working with aluminium and alternative rigs so after about two seconds consideration decided to give it a go. 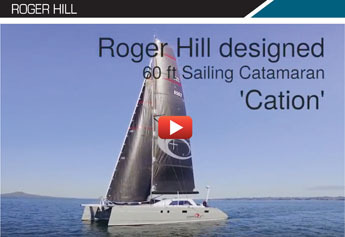 Not without a modicum of angst as we had never before designed a sailing catamaran. The rest, as they say, is history. Within six months of the initial discussions construction was underway on the 62’ ‘ketchamaran’ in faraway New Zealand. The owners took delivery of a bare hull and proceeded to fit the boat out by themselves over the next year. In January 2009, after a trial sail of about 20 miles the vessel left NZ heading south east for the Southern Ocean and eventually taking the owners all the way back home to the Chesapeake. 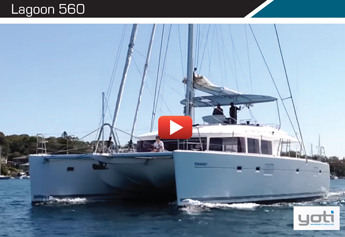 Since then this unique 62’ catamaran has crossed the Pacific a couple more times, logging over 50,000nm with a family of four and up to six charter guests aboard at any one time. Although she was conservatively sailed (with safety and seamanship a priority) during these passages her average speed was 10kts. 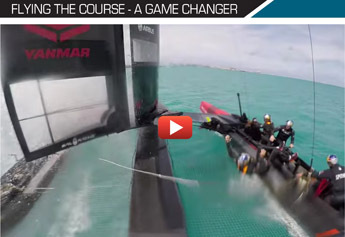 Dare I suggest that the experts might be wrong about the ability of an aluminium catamaran? 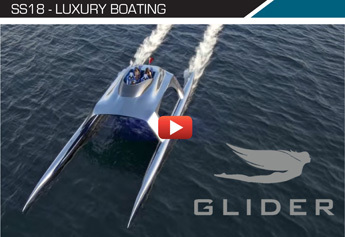 Actually I believe that this boat has gone some way beyond proving doubters wrong and is in fact an ideal cruising boat, capable of much higher average speeds than some of the flashy but overloaded ‘floating condo’s’ that don’t contribute much to the notion of a swift multihull. 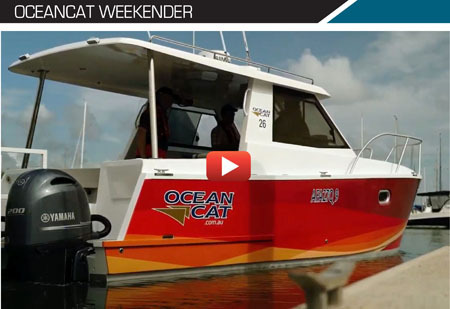 Since our 62’ cat was launched we have received many enquiries for cruising cats in aluminium but smaller and more manageable in terms of initial cost to build, maintenance, berthing and sail handling. 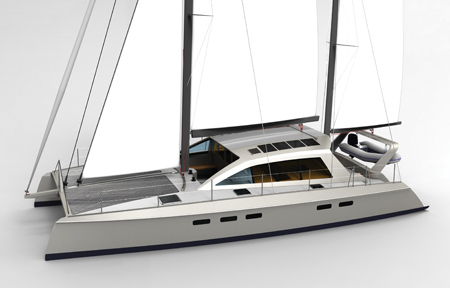 The aim of this article is thus to introduce our latest design to the market – a 52.5’ blue water catamaran with features and overall philosophy derived directly from her proven and successful bigger sister. With this background of hard data around which to formulate the concept and features of the new design, what you see in the pictures is surely going to be a unique and spectacular boat ... which we will call the DVDesign 525 PureCat (PurrCat!). 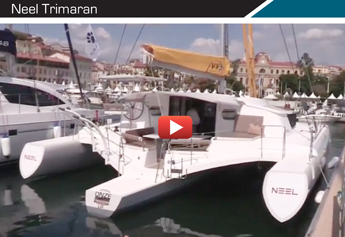 The core theme for this boat is thus to be a safe, capable and speedy offshore cruising catamaran which can be easily handled by a couple. A pure and simple blue-water passagemaker. Specifically, what follows is a summary of the features and proven concepts and strengths inherent to this new design. 1 Ketch Rig – For a given sail area the aspect ratio can be reduced or to put it another way the Centre of Effort of the sails is closer to the waterline, resulting in a more stable boat. This single fact alone makes the extra hassle of a mizzen mast worthwhile to our way of thinking. It is widely accepted that a split rig (ketch, schooner or to a lesser extent a yawl rig) reduces the individual sail areas thereby making them more manageable. 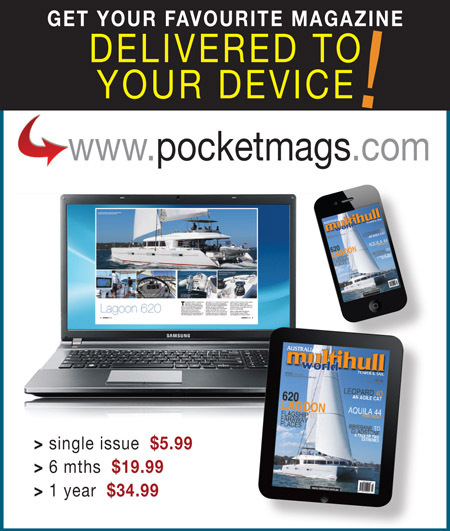 Having multiple headsail options further increases this ease of handling. 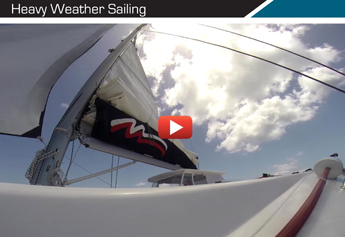 When it starts to blow just drop the mainsail and the result is a snug rig, able to be carried in gale force conditions. 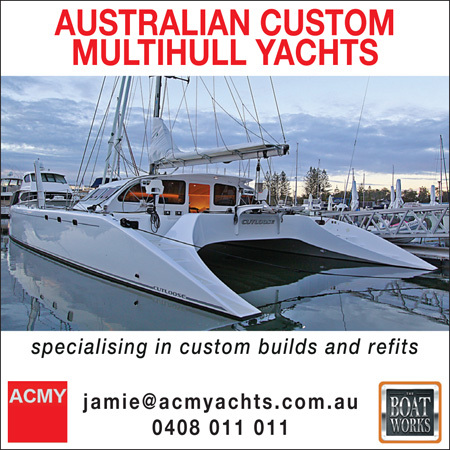 Due to their high righting moment, catamarans in particular, generate high loads in the rig so the mast, stays and shrouds, and other rig fittings need to be suitably sized which adds to the overall cost of the boat. A lower aspect rig can help to reduce these costs proportionally. Having said that the ketch rig will not suit everyone’s boat handling methods or budget so we will make a sloop rig version available. 2. Bridgedeck (Underwing) Clearance – For peace and quiet on long voyages on a catamaran this dimension (from the static waterline to underside of the bridgedeck structure) needs to be as large as is physically possible, full stop. 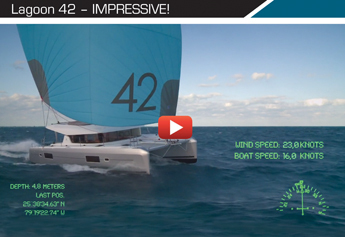 Furthermore the underwing surface must be as streamlined as possible without projections and fairings intended to increase the internal volume as evidenced on some the aforementioned floating condominium catamarans. Trust me when I say that reduction of bridgedeck slamming in a seaway on long offshore passages is a must-have feature. On the 525 Purecat we are aiming for 850mm at full cruising load. Other cat designs may come close but be careful to ensure that this is not the dimension off the plans at lightship. 3. Aluminium Alloy Hull, Bridgedeck and Deckhouse Construction – Marine-grade aluminium is one tough material and is currently the material of choice for many offshore passagemaking vessels and superyachts. It combines lightness with strength in an unbeatable combination. Left unpainted it is relatively maintenance-free and the somewhat utilitarian look might well contribute to keeping the boat unburgled in dodgy areas! 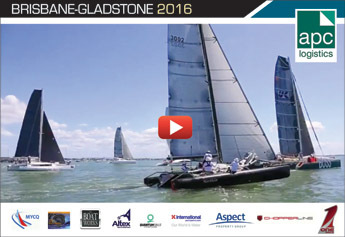 Aluminium is a strong and ductile hull material, abrasion and puncture resistant – just try hitting a reef on your glass boat. 4. 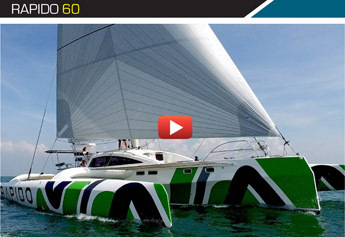 Six Watertight Bulkheads for unparalleled safety in a damaged situation. Other designers have claimed unsinkability of their vessels and been proven wrong so we will not make the same contention. But having six watertight bulkheads significantly improves one’s chances in the unlikely event that one or more compartments are breached. 5. No osmosis or core delamination or leaks at deck fittings. Need we say more? 6. Straight and simple driveshafts ... no saildrives need apply here! The engines are separated from the accommodation space in dedicated enginerooms at the aft end of each hull. Not sure if I am alone but I find it impossible to sleep in a bunk which is directly above the engine separated by some insulation and piece of 12mm plywood. 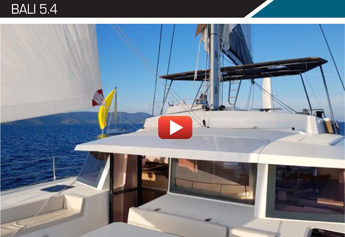 Our aluminium catamarans are proper small ships with separate, watertight enginerooms. The props are protected behind 20mm solid aluminium plate skegs for peace of mind when bumping into logs or reefs or submerged containers or ... something else! 7. Watertight Forepeaks – The forward part of each hull of this catamaran is separated from the accommodation by ... another watertight bulkhead! But wait there’s more ... at the front of each of the forepeaks is another watertight bulkhead or properly known as a collision bulkhead. Safety is paramount on this vessel. 8. Solid 31/2” Aluminium Alloy Rudderstocks – The rudders are balanced spades, with no bottom bearing vulnerable to damage. The rudder stocks will take all of the load and the stock diameter exceeds any regulation from any country. 9. Forward Cockpit – We did not invent this feature ... we merely perfected it! I know it seems wrong but it really does work. It’s the safest place to be when working the sails. 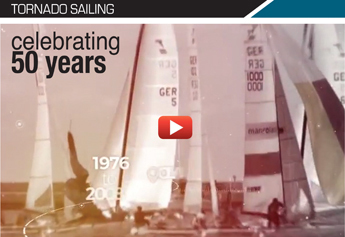 All headsail sheets, furling lines, mainmast halyards etc. are led to the area around the base of the mainmast and at shelf height it’s very comfortable working the winches and jammers. Only the mizzen sheets and halyards are not led to the forward cockpit but hey, it’s an easy stroll out to the aft cockpit and working behind the deckhouse is even more protected. In over 50,000nm our 62’ cat never took green water into the forward cockpit and even if it were to happen there’s drains through the cockpit sole which exceed the ISO quick draining recess regulation size. A lot of people say that the forward facing cockpit will be really cold but again it’s never been an issue on the 62’ cat and they have several Southern Ocean passages under the belt. Actually when the wind is anywhere aft of the beam then it’s warmer and less windy than the aft cockpit. At anchor in the tropics the forward door(s) are open and expensive air conditioning is unnecessary! 10. 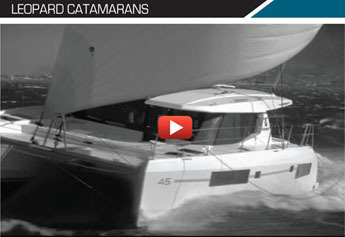 Performance – This aspect is intrinsic to the philosophy behind the 525 PureCat. Overloading is a significant problem evidenced on many cruising catamarans today, making their performance sometimes less than stellar and other times close to dangerous. We therefore emphasize performance over voluminous and overweight interior accommodations. 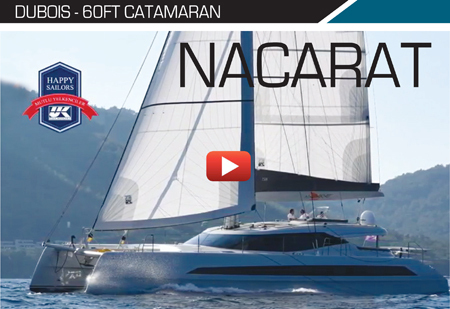 The PureCat exhibits significantly improved performance numbers rivalling the best in class. 250nm days will be achievable resulting in more time for cruising amongst the islands when you get there. Within the framework of this design will be optional performance enhancing features like daggerboards versus fixed fin keels as well as carbon masts etc. 11. Interior Accommodation Layout – Cats have large volume interiors but as alluded to in the performance section above it is critical not to fill them up with stuff as this will overload them and performance will be negatively affected. 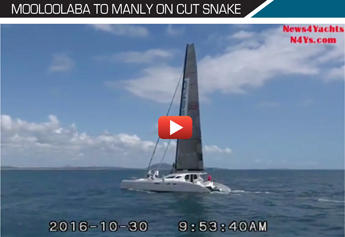 Who wants a cat that barely sails faster than a similar sized monohull? If you are able to sail away from the oncoming path of a storm then does this not constitute good seamanship? Consequently our design is conservative in terms of accommodations catering for four to an occasional six persons. The layout shown is just one of several possible within the framework of this design. 12. 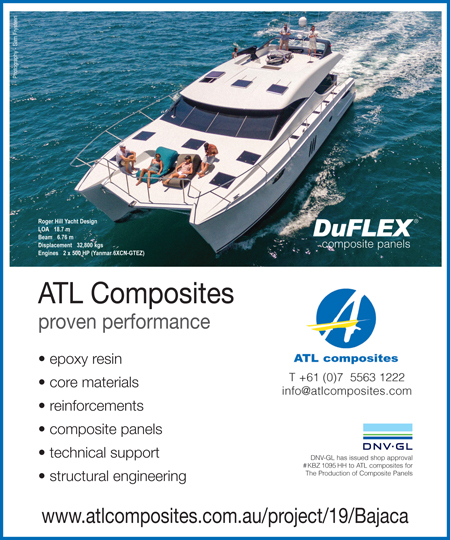 Lower Cost to build than an equivalent custom composite boat. This is another contentious statement and so long as we are not comparing costs to pop-out production boats then we stand by this opinion. 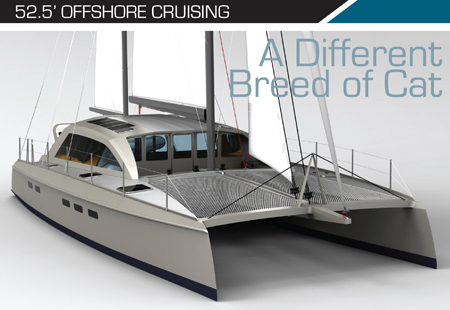 So there it is ... we are extremely excited about the possibilities for the 525 PureCat design. She is going to cut a clean wake through some fondly held misconceptions. 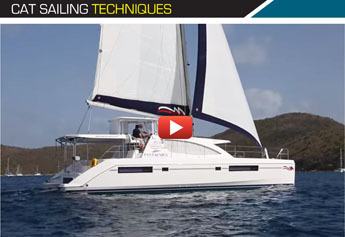 If you are looking for your ‘forever’ cruising catamaran then this has to be at the top of your list.